Dr. Williams is the author of over 150 publications which have appeared in scholarly journals such as Economic Inquiry, American Economic Review, Georgia Law Review, Journal of Labor Economics, Social Science Quarterly, and Cornell Journal of Law and Public Policy and popular publications such as Newsweek, Ideas on Liberty, National Review, Reader's Digest, Cato Journal, and Policy Review. He has authored six books: America: A Minority Viewpoint, The State Against Blacks, which was later made into the PBS documentary "Good Intentions," All It Takes Is Guts, South Africa's War Against Capitalism, which was later revised for South African publication, Do the Right Thing: The People's Economist Speaks, and More Liberty Means Less Government. Dr. Williams serves on several boards of directors: Grove City College, Reason Foundation and Hoover Institution. He serves on numerous advisory boards including: Cato Institute, Landmark Legal Foundation, Institute of Economic Affairs, and Heritage Foundation. 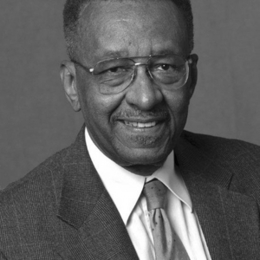 Dr. Williams has received numerous fellowships and awards including: Foundation for Economic Education Adam Smith Award, Hoover Institution National Fellow, Ford Foundation Fellow, Valley Forge Freedoms Foundation George Washington Medal of Honor, Veterans of Foreign Wars U.S. News Media Award, Adam Smith Award, California State University Distinguished Alumnus Award, George Mason University Faculty Member of the Year, and Alpha Kappa Psi Award.